Fun to watch and informative! YOUR body is host to 101 fungal species, with each person harboring between 9 and 23 strains. If your fungi are out of balance it’s not healthy. Changes in our resident microbiota and their collective genome — called the microbiome — have been linked with a wide range of diseases, from various forms of arthritis to depression. At this point scientists tend to focus on which bacterial species might hinder or maintain health. But our biota comprises a menagerie of microbes. And a growing number of researchers feel that alongside bacteria, the fungi that inhabit our bodies may also be influential in both our well-being and, at times, disease. French researchers distinguished the fungi present in healthy human lungs compared with those afflicted with cystic fibrosis. Aspergillus was most prevalent in the lungs of healthy people, whereas various Candida species dominated in those afflicted with CF and other lung disorders. UCLA professor David Underhill found that mammalian fungi interact with the immune system to control inflammation in the gut. Mice in which the gene encoding for Dectin-1 was inactivated and in which colitis was induced came down with far more severe disease than mice with the active gene. With these findings in hand they then identified a Dectin-1 gene variant in humans that predicted a severe form of inflammatory bowel disease called ulcerative colitis. Recent unpublished findings by Ghannom’s lab show that an interaction between fungi and bacteria in the gut aggravates the body’s autoimmune response in Crohn’s disease, another form of inflammatory bowel disease. In collaboration with a group at Cleveland Clinic, Ghannoum also beginning to show that oral fungal populations are different in people with head and neck cancers. Recent research found that autoimmune arthritis can be induced in mice injected with certain compounds found in fungal cell walls. Read the entire article The Human Body’s Complicated Relationship with Fungus. 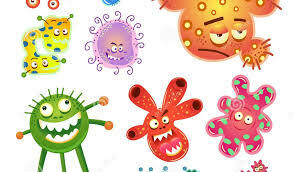 Your Microbiome is Invisibly Spewing YOU onto Others!